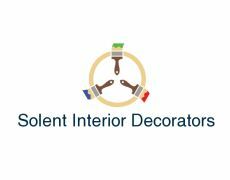 Solent Interior Decorators - Painter/Decorator based in Southampton, Hampshire. Welcome to the web page of Solent Interior Decorators and thank you for looking. I pride myself on my work and achieving customer satisfaction with a friendly approach. Based in Thornhill, Southampton, I cover all of Hampshire. I have been established for 20 years have 25 years of experience. Please feel free to call me for advice and a free quote.